We had a half hour meeting today and it had to stick to a half hour. There was a follow up meeting that non of us could be late for. Normally, we would set a alarm for the top of the hour when the meeting is ending. Sometimes someone will prop up their iPhone or iPad for everyone to see the clock. Today, one of the team put their iPad in it’s stand at the end of the conference room table. On it’s screen was a blue count down ring of blue ‘LED’ like bars, filling in the circle till we needed to be wrapping up. Most likely the reason everyone thought it was so cool is that it looks like something right out of a Sci Fi movie. 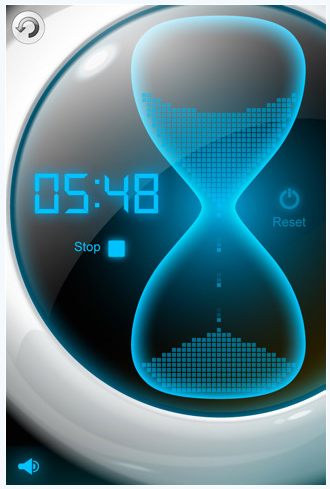 The app, Best Timer is a universal app so it will work on your iPad and iPhone. Don’t expect to use the stop watch to time something super quick, your finger isn’t that exact anyway. The app will time nicely down to a tenth. 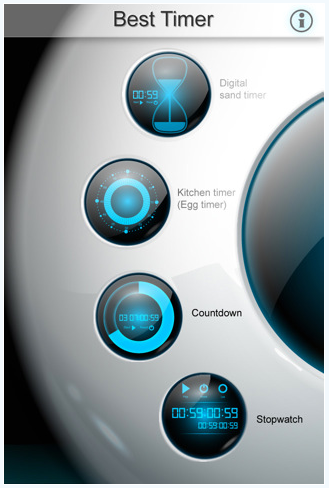 While the countdown (counts up too), sand timer and kitchen timer all look as much fun as any timer could be. It makes the iPad look right at home in a star ship or sci fi lab. 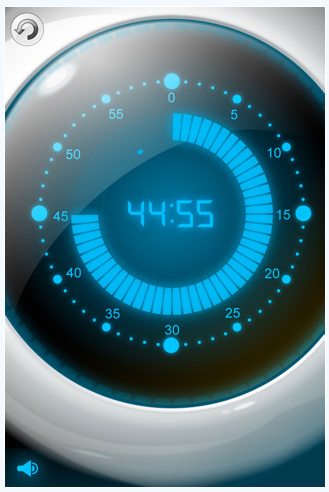 Sure, there are ton of timers available for the iPad, we just all thought this one was one of the most fun looking ones that we thought we should mention it. Doesn’t hurt that “Best Timer for iPhone/iPad” is on sale right now.